Coily is the latest coil cutting template to get coil legs cut with precision every time. 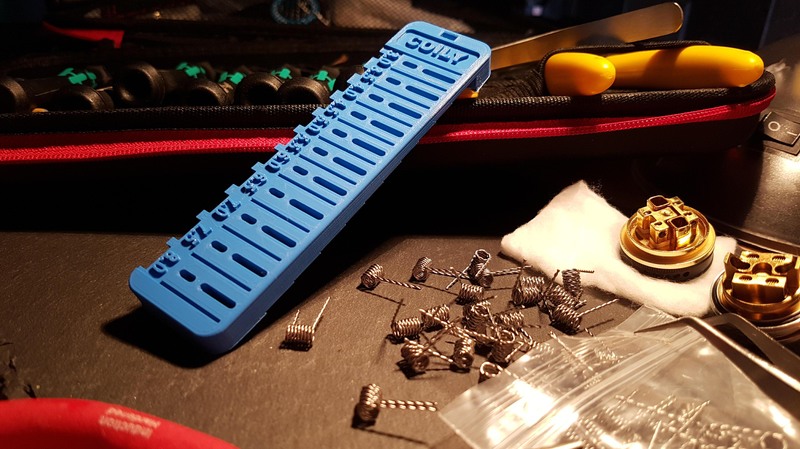 This simple yet ingenious device was designed and created here in the UK for those who crave perfection with coils. Using the coily is simplicity itself, the Coily will measure the width of the deck posts then simply cut the desired length of wire by placing the coil through the holes in the Coily. The Coily was predominately developed for postless decks but we believe the Coily is just as capable for velocity and other style decks with perfect results and reduces the risk of flying wires.